For two of the four systems investigated, the apparent self-exchange rate constant obtained from oxidation reactions was larger than that for reduction reactions…This is only the second instance in which such behavior has been observed. The implications of these results are considered. Ambundo (far left), reunited with Marion Galleher Kyhos, a St. Lawrence University alumna. In 1975, the Ambundo family hosted Marion in Kenya. "Edna was three years old when I lived with the Ambundos," says Marion; "she just received her Ph.D. and is working at MIT. It was a terrific reunion!" Edna Ambundo is a Technical Associate at Colgate Palmolive. Her research interests include: catalysis, reaction kinetics, inorganic reaction mechanisms, enzymes. Ambundo earned a BS in Chemistry (1994) from the University of Nairobi in Kenya and a PhD in Chemistry (2000) from Wayne State University. She is a member of the Phi Lambda Upsilon National Chemistry Honor Society and the American Chemical Society. During her postdoctoral appointment at MIT as an MLK Scholar, she was hosted by the Department of Chemistry. Ambundo's one-year visit was extended for an extra semester. 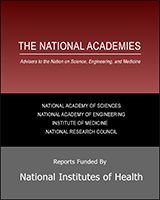 National Research Council (US) Chemical Sciences Roundtable. ​The workshop on "Minorities in the Chemical Workforce: Diversity Models that Work" brought together leaders in chemistry and chemical engineering from government, industry, academia, and the not-for-profit sector to gather information and explore approaches that would optimize participation by the full range of intellectual talent in the chemical workforce. Its primary focus was to expose the participants, primarily chemists and chemical engineers from all sectors, to examples of successful efforts to recruit and retain minorities—at the undergraduate level, in graduate programs, and in the chemical workforce. The focus was practical and realistic needs of institutions and opportunities for minorities in the chemical sciences. The workshop explored opportunities and challenges for transferring the prior successes into a variety of new settings in which those trained in the chemical sciences are employed.